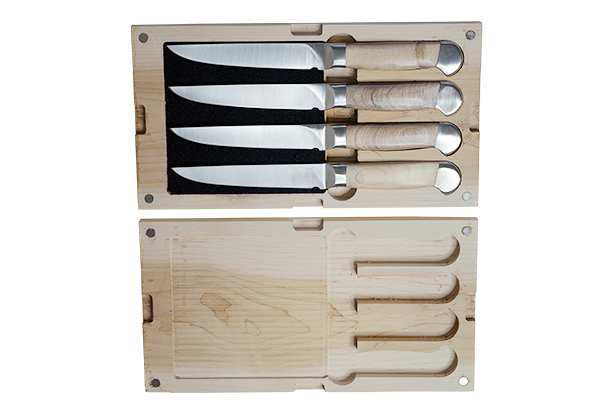 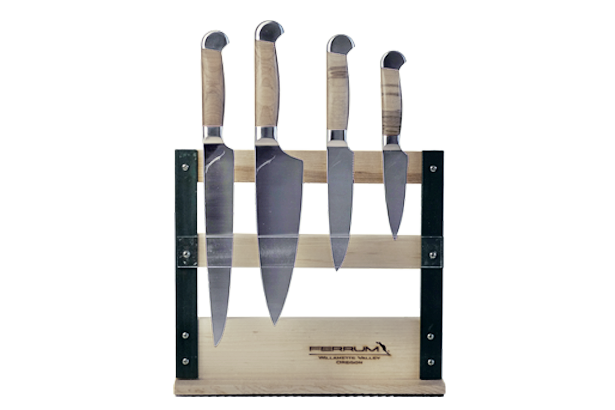 Our Estate knives have a distinctive craftsman design with double bolstered maple handles. 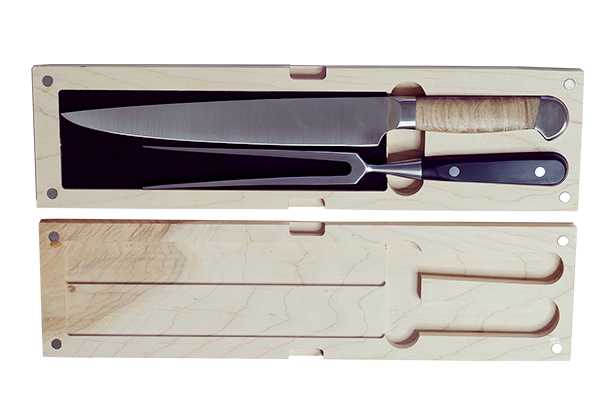 Each blade is hand-sharpened to a 16 degree “apple seed” edge for a long-lasting cutting performance. 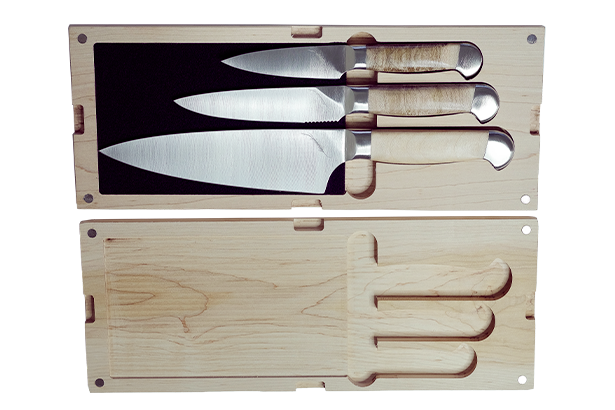 Our Estate line is hand-finished and built with comfort in mind.